I have over 30 years' experience teaching of teaching in universities in China, Hong Kong, USA, and Australia. Having spent a significant part of my life outside my heritage culture (Chinese), I've developed a profound interest in examining how culture influences people's thinking, doing, and being. I research and publish in the areas of immigration, multiculturalism, acculturation, intercultural conflicts, ageing migrants, and intergroup relations. I also research on the media effect on how people perceive themselves, how they think they are perceived by others, and how self- and other perceptions interact with each other to influence attitudes, behaviours, and intergroup relations. I examine cross-cultural adaptation of immigrants, particularly in how intercultural communication (or the lack of it) can affect intercultural relations in multicultural societies. One of my contributions to the field is integrating intercultural communication with cross-cultural psychology. I apply social categorization theory to study media portrayal of ethnic minorities in Australia and I examine the often neglected media effects on immigrants’ integration. I examine the integration process of long-term migrants, new arrivals, and 1.5 generation migrants (those who migrated as young children). Existing literature tends to attribute the lower level of integration to migrants’ unwillingness to integrate; but if the larger social, cultural, and political context is not favourable, it is the very group or individuals that initially wanted to integrate most that tend to resist integration. Also, traditional concepts of intercultural communication competence rest on the assumption that there are no barriers to effective communication other than the competence of immigrants and members of the host culture. The models work well when people are motivated to get on with each other. When motivation and intergroup history involve conflict and rivalry, however, sometimes the more competent a communicator is, the less effective the communication can be, because skills are used to non-accommodative ends. This view is reflected in a recent paper I co-authored with Professor Cindy Gallois. Alongside my research on migrants and intercultural relations, with a particular focus on Chinese communities in Australia, I have expanded my research to understand how Chinese people in China perceive Australia and how their perceptions affect their intentions to engage with Australia. With the ARC linkage project (2007-2010), I examined Chinese people’s attitudes to Australia and their intentions to purchase Australian products and services (e.g., pursuing further education in Australia), as well as their intentions to engage in business with Australian firms. I also extended my research to examine symbolic consumption of Chinese consumers and how the purchase of imported products are used as a means of constructing social identity. One of my contributions to the field is to advance the process orientated approach in research on immigrant integration. I've been researching and publishing in this area over the past decade. My more recent research examines the ageing experiences of people from diverse cultural backgrounds. International recognition of my work is demonstrated through the editorial responsibilities that I carry. I'm currently the Associate Editor of two leading international journals in communication and intercultural research: Journal of Communication and International Journal of Intercultural Relations. Liu, Shuang, Liesch, Peter W., Smith, Joanne R., Ren, Yi and Gallois, Cindy (2012) Communicating through networks: Chinese business people's views on engaging in business with foreign firms. China Media Research, 8 1: 86-94. I'm interested in research in the broad area of identity, acculturation, intercultural relations, and media representation and effects on people's attitudes and behaviours. I research at the interface of communication and cross-cultural psychology. I'm familiar with both qualitative and quantitative research methods. If you are considering doing a PhD in those areas under my supervision, please feel free to contact me. I'd be very happy to discuss your topic areas with you! Liu, Shuang Identity, hybridity and cultural home: Chinese migrants and diaspora in multicultural societies. London: Rowman and Littlefield International, 2015. Liu, Shuang, Volcic, Zala and Gallois, Cindy Introducing Intercultural Communication: Global Cultures and Contexts 2nd ed. Los Angeles, CA United States: Sage, 2014. Liu, Shuang, Volcic, Zala and Gallois, Cindy Introducing intercultural communication: Global cultures and contexts. London, England, U.K.: Sage, 2011. Moving targets: Mapping the paths between communication, technology and social change. Edited by J. Servaes and S. Liu Penang, Malaysia: Southbound, 2007. Moving targets: Mapping the paths between communication, technology and social change in communities 1 ed. Edited by Jan Servaes and Shuang Liu Penang, Malaysia: Southbound, 2007. Liu, Shuang and Gallois, Cindy (2015). Intercultural Relations and Globalization. In Janet Marie Bennett (Ed. ), The SAGE Encyclopedia of Intercultural Competence (pp. 517-521) Thousand Oaks, CA United States: Sage. 劉雙 Liu, Shuang (2011). Theories of health and risk communication. In 陳國明 Guo-Ming Chen (Ed. ), 傳播理論 (pp. 339-374) Taipei, Taiwan: Wunan Publishing. Liu, Shuang (2010). Social surveys and the statistical analysis of data. In Pradip Thomas and Michael Bromley (Ed. ), An introduction to communication and social change (pp. 39-54) Brisbane (UQ): UQP Print on Demand. Liu, Shuang and Chen, Guo-ming (2009). 中国の合弁企業における対立管理方式の評価. In ベイツ・ホッファ (Bates L. Hoffer), 本名 信行 (Nobuyuki Honna) and 竹下 裕子 (Yūko Takeshita) (Ed. ), 共生社会の異文化間コミュニケーション: 新しい理解を求めて (pp. 314-339) Toyko, Japan: Sanshūsha Publishing Company. Liu, Shuang and Wu, Qiangian (2008). Online media and traditional media. In M. Wu, S. Liu, S.H. Xie and X. Long (Ed. ), Research on internet media in China (pp. 157-175) Beijing, China: China National Defence Industry Press. Servaes, J. E. J. and Liu, S. (2007). From the centre to the periphery: Multiple paths to social change in communities. In J. E. J. Servaes and S. Liu (Ed. ), Moving Targets: Mapping the Paths Between Communication, Technology and Social Change in Communities (pp. 1-9) Malaysia: Southbound. Liu, S. (2004). Hierarchy and Chinese organizational communication. In G.Chen (Ed. ), Theories and principles of Chinese communication 1st ed. (pp. 231-244) Taipei: Wunan Publishing Ltd.
劉雙 (2004). 层级结构与华人组织传播. In 陳國明 [Chen Guo-Ming] (Ed. ), 中华传播理论与原则 (pp. 231-244) Taipei, Taiwan: Wunan Publishing Ltd.
Liu, S. and Chen, G. (2002). Collaboration over avoidance: Conflict management strategies in state-owned enterprises in China. In G. Ching and R. Ma (Ed. ), Chinese Conflict Management and Resolution 1st ed. (pp. 163-182) Westport, CT, USA: Ablex Publishing. Liu, Shuang (2014) Becoming intercultural: exposure to foreign cultures and intercultural competence. China Media Research, 10 3: 7-14. Liu, Shuang, Smith, Joanne R. and Gallois, Cindy (2013) Chinese consumers' intentions to purchase foreign products and advertising in China. China Media Research, 9 3: 33-41. Liu, Shuang and Breit, Rhonda (2013) Empowering and engaging students in learning research methods. Educational Research and Perspectives, 40 150-168. Liu, Shuang (2011) Hierarchy (Dengji): A pyramid of interconnected relationships. China Media Research, 7 4: 77-84. 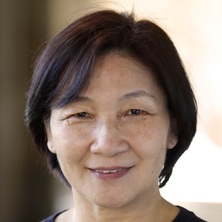 Brockhall, Ferdinand J. and Liu, Shuang (2011) Performing new Australians: Identity (re)construction of long-term Greek and Cypriot immigrants in Australia. China Media Research, 7 1: 16-24. Liu, Shuang and Chen, Guo-Ming (2010) Communicating health: People, culture and context. China Media Research, 6 4: 1-2. Liu, Shuang and Louw, Paul E. (2009) Cultural translation and identity performance: A case study of Chinese business people in Australia. China Media Research, 5 1: 1-9. Liu, S. and Louw, P. E. (2007) An examination of the factors influencing ethnic identification and acculturation of chinese diasporas in Australia. China Media Research, 3 3: 61-69. Liu, Shuang (2006) Chinese social location and ethnic newspaper exposure. Australian Journalism Review, 28 2: 79-93. Liu, S. and Wu, (2006) An examination of the relationship between social locations of Chinese immigrants and their ethnic newspaper dependency. Journal of University of Electronic Science and Technology of China, 8 227-231. Liu, S., Chen, G. and Liu, Q. (2006) Through the lenses of organizational culture: A comparison of state-owned enterprises and joint ventures in China. China Media Research, 2 2: 15-24. Liu, Shuang (2005) Theorising practice, practicing theory. Australian Journalism Review, 27 2: 258-259. Liu, S. and Chen, G. (2005) Newspaper coverage of Chinese and group perception of Chinese immigrants. Australian Journalism Review, 27 2: 135-149. Liu, Shuang (2004) Social Categorisation of Chinese Ethnic Groups and Its Influence on Intergroup Relations in Australia. Australian Journalism Review, 26 1: 69-82. Breit, Rhonda, Fitzgerald, Richard, Liu, Shuang and Neal, Regan (2012). Changes in media reporting after RTI laws in Queensland. In: CPRafrica 2012/CPRsouth7: Papers, presentations and policy briefs. CPRafrica 2012/CPRsouth7 Conference, Port Louis, Mauritius, (). 5 - 7 September 2012. Liu, Shuang (2009). Acting Australian but being Chinese: Integration of Chinese ethnic businesspeople in Australia. In: Bhawuk, Dhasm P.S., Landis, Dan and et al., 6th Biennial Conference of International Academy of Intercultural Research. World Peace Through Intercultural Understanding, University of Hawaii, Honolulu, Hawaii, (73-73). 15-19 August 2009. Smith, Joanne, Liu, Shuang, Liesch, P. W., Gallois, Cynthia, Ren, Yi and Daly, Stephanie (2009). Through the eyes of Chinese: The theory of planned behaviour and Chinese consumer behaviour in relation to Australian products and services. In: Dewi Tojib, ANZMAC 2009 Conference Proceedings. Australian and New Zealand Marketing Academy (ANZMAC) Conference 2009: Sustainable Management and Marketing, Melbourne, Australia, (1-8). 30 November - 2 December 2009. Liu, Shuang, Liesch, Peter W., Smith, Joanne R., Gallois, Cynthia, Yi, Ren and Daly, Stephanie (2009). Through the lenses of culture: Impact of collectivism orientation on Chinese consumers' intention to purchase Australian products and services. In: Pedersen, Torben and Kiyak, Tunga, 51st Annual Meeting of Academy of International Business. Knowledge Development and Exchange in International Business Networks, San Diego, CA, USA, (1-35). 27-30 June 2009. Liu, Shuang (2008). Attitudes towards cultural diversity and their impact on intergroup relations. In: The 11th International Conference on Australian Studies in China, Beijing, China, (). Oct. 31- Nov. 2, 2008. Liu, Shuang and Louw, Eric (2008). Cultural Translation & Identity Performance: The Case of Chinese Business People in Australia. In: 2008 ANZCA Conference: Power and Place, Wellington NZ, (). 9-12 July 2008. Liu, S. (2007). Living with others: Mapping the routes to acculturation in a multicultural society. In: Jia, Y., Abstracts: Harmony, Diversity & intercultural Communication. Annual Convention of International Association for Intercultural Communication Studies, Harbin, P.R. China, (32-32). 22-24 June 2007. Liu, S. and Louw, P. E. (2006). An examination of the factors that influence identification and acculturation. In: Proceedings of: 56th Annual Conference of the International Communication Association: Networking Communication Research. 56th Annual Conference of the International Communication Association: Networking Communication Research, Dresden, Germany, (). 19-23 June 2006. Liu, S. and Wu, M. (2006). An examination of the relationship between social locations of Chinese immigrants and their ethnic newspaper dependency. In: Proceedings of: 56th Annual Conference of the International Communication Association: Networking Communication Research. 56th Annual Conference of the International Communication Association: Networking Communication Research, Dresden, Germany, (). 19-23 June 2006. Liu, S., Chen, G. and Liu, Q. (2005). Through the lenses of organizational culture: A comparative study of state-owned enterprises and joint ventures in China. In: Proceedings of the 2005 International Association for Intercultural Communication Studies Conference. Modernization, Globalization and Cross-cultural Communication, Taipei, (1-24). 6-8 July, 2005. Liu, S. (2004). An examination of the Social categorization of Chinese ethnic groups and its influence on intergroup relations in Australia. In: Communication in the public interest. 54th Annual Conference of the ICA, SHeraton Hotel, New Orleans, (1-24). 27 to 31 May 2004. Liu, S. (2004). Enacting organizational hierarchies through communication. In: CAC/ CCA, 2003 Chinese Communication Forum Proceedings. Chinese Communication Forum (CCC2003), Swan Hotel, Shanghai, (1-10). 4 to 6 January 2004. Lawrence, S. A., Shulman, A. D., Liu, S., Chattopadhyay, P. and George, E. (2004). The graying of R&D workgroups: The effects of age diversity on developing publicly usable knowledge. In: K. Mark Weaver, Academy of Management Conference Proceedings: Creating Actionable Knowledge. The Academy of Management 64th Annual Meeting, New Orleans, Louisiana, (). 6-11 August, 2004. Liu, S. (2001). Cultures within culture: Unity and diversity of two generations of employees in state-owned enterprises. In: Proceedings of the 8th International Conference on Cross Cultural Communication. Communication and Cultural (Ex)change, Hong Kong Baptist University,Hong Kong, (). July 24-28 2001. Intellectual property rights, communication, and the public domain in the Asia-Pacific Region (2004) . Edited by Shuang Liu, J. E. J. Servaes and P. Thomas. Intellectual Property Rights, Communication, and the Public Domain in the Asia-Pacific Region, 14-17 December, 2004, UQ, Brisbane. Breit, Rhonda, Fitzgerald Richard, Liu, Shuang and Neal, Regan (2011) Changes in media reporting after right to information laws in Queensland. Research report 1, School of Journalism and Communication, Office of the Information Commissioner, Queensland.